These little bitty ringer beauties keep your place just right. Sets of 20. 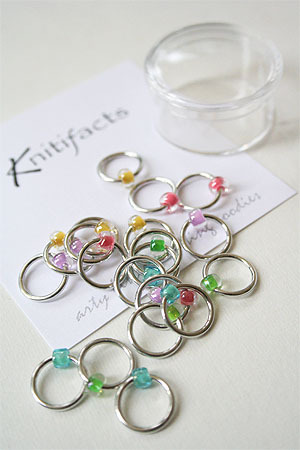 Ringers fit up to size 10.5, (For smaller needles, see ringlets or lace stitch markers) Ringlets are for up to size 8 needles.